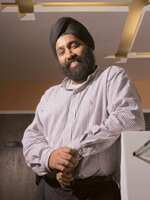 Caution’s the word: Draper Fisher Jurvetson’s Mohanjit Jolly. 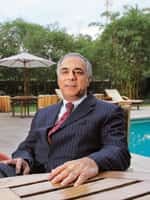 New Delhi: The venture capital world is not insulated from the meltdown in global financial markets and the collapse of Wall Street investment banks, investment firms and entrepreneurs are discovering. Even as valuations fall and access to capital constricts or comes with tough conditions, venture capital firms insist that there will not be any slowdown in the number of deals in the short term. Also, due to the financial crisis expected to run well into October, limited partners (LPs) investing in venture capital funds are asking for higher returns, which may not go down well with the entrepreneurs. Jolly says investors are asking for return multiples of as much as 9x, compared with the earlier 4x or 5x, as exits could go up to six-seven years from the earlier three-five years. Investment bankers are seeing an early slowdown in the pace at which venture capital-entrepreneur deals are made. Unsure how the economy will shape up, says Srikanth Narasimhan, director, Veda Corporate Advisors Pvt. Ltd, a Chennai investment banking firm, deal activity is down 20%. Bangalore’s Viedea Capital Advisors Pvt. Ltd’s director and co-founder Deepak Srinath says valuations have dropped by 30-40% and the negotiation stage, which generally takes up to three weeks, is now being dragged to as much as 8-12 weeks. The drying up of liquidity could be critical for venture capital funds, particularly those on the verge of exhausting their current corpus or looking to raise a new fund next year. Lightspeed Advisory Services India Pvt. Ltd’s managing director Srini Vudayagiri says LPs, particularly in the US, are, for the first time, paying attention to an investee company facing a downturn. Small funds may not be able to meet the capital demand of portfolio companies, with the option of going public being ruled out for at least a year. “A small $200 million (Rs938 crore) fund will not be in a position to put $30 million in one company," says Promod Haque, managing partner, Norwest Venture Partners. Start-up firms, particularly those catering to information technology (IT) and financial services, have not been hit just by low valuations, but their revenues have also shrunk. Founder of a Mumbai-based technology marketing and consulting company, who requested anonymity for himself and his company, says its revenues have reduced by 60% over the last nine months as clients in IT and financial services have crimped budgets. Ziva Software Pvt. Ltd, a Bangalore-based mobile search company, is already anticipating difficulties in raising its second round of funding. “In the short term, there’s been no impact. But in six months’ time, when we will start talking about second round funding, the real impact will be observed and felt," says Ajay Sethi, co-founder of Ziva, which raised $1.7 million seed capital from Ojas Ventures in 2006. The firm is taking steps to counter the long-term market conditions, such as cautious spending, and accelerating work to get a quicker cash flow. “We are taking risk-mitigating steps to stretch the money longer, until we look for funding six-nine months down the line," Sethi says. Faced with such a situation, some entrepreneurs are taking to short-term debt to tide over their working capital needs of six months, says Viedea’s Srinath. A few firms have completely given up on the idea of raising capital from VCs. A Mumbai-based online portal, which was looking at raising $6 million, was asked to dilute 45-50% stake. The firm, instead, is now raising $0.5-1 million from angel investors to fund its immediate working capital needs, says Srinath, and will look at raising funds after six months or so, when the market is expected to settle down. Namitha Jagadeesh contributed to this story.